Works! 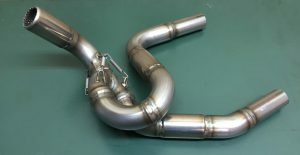 Primary Silencer for Rally/Racing replace collector box | reinforcement! 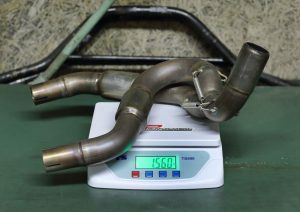 We are just making a new batch of Reinforcement rally racing exhaust pipe. High greed stainless steel and very taff and flexible mount by four springs . It is not only mega high performance but also ultra light weight less 2 kg !! The sound is very better with 3 internal noise reducers .